The number of CAO points required for entry to teaching courses matters to qualified teachers as well as to those who wish to become teachers. The points give an indication of the status of the teaching profession in the country. Higher points for a programme mean that the number of people wishing to study that area exceeds the number of places available. Primary teaching has traditionally been an area where the number of applicants greatly exceeds the places available. When the 2011 CAO points for primary teaching were revealed yesterday, they were static or slightly down on last year , reflecting a small decline in the number of applicants. Although it is impossible to draw conclusions about trends based on one year’s data, it would be worrying if the points for teaching began to drop. Here’s why. Teaching in Ireland has always attracted high calibre candidates to the profession. Although there are many reasons for this, one is that even when teachers weren’t well paid, it was usually relatively easy to get a job. This was because teacher supply was mostly well matched with teacher demand. In the early 1990s, for example, the number of students taken into colleges of education was substantially reduced by the Department of Education because many teachers were unemployed. Then, by the end of that decade, as a teacher shortage emerged, numbers taken into the colleges were increased and the postgraduate diploma route of entry to primary teaching was reintroduced. Although the supply/demand balance didn’t always work well (as those of us who qualified in the 1980s can remember), the Department of Education was able to regulate the supply of teachers and ensure relative equilibrium between the number of teachers and the number of teaching jobs. But the Department of Education and Skills can no longer regulate teacher supply for two reasons. First, teachers who receive their initial teacher education in another country can now register as teachers with the Teaching Council, provided they meet the requirements of the Council. The potential number of teachers entering the profession in this way is unlimited and many prospective teachers are legitimately using this route by doing their teacher education in Britain and then doing the Scrúdú le haghaidh Cáilíochta sa Ghaeilge in Ireland. Sometimes, depending on the particular programme the teachers completed in Britain, they need to make up course shortfalls before registering with the Teaching Council. Second, the for-profit Hibernia College can supply as many teachers to the system as the college can accommodate, through the postgraduate entry route. The effect of these changes is that the supply of teachers in the country is now unregulated. This is a serious problem for the profession. The 2007 McKinsey Report on education entitled How the World’s Best Performing School Systems Come Out on Top describes the problem in stark terms (on page 18). It says that failing to control entry into teaching reduces quality. This happens because if there are too many teachers in the system, many will fail to get a job. High-achieving students who have their choice of alternative courses (through the CAO) will find teaching less attractive and will therefore choose careers that have more promising job prospects. Furthermore, if the calibre of entrant to teaching is reduced, the quality of the teacher education programmes declines. Up to recently in Ireland we have managed to regulate teacher supply reasonably well and this has contributed to the high-calibre teaching force that we have today. But the McKinsey report shows why we cannot take this for granted. A high-status teaching profession is something that needs to be protected and maintaining high-status teacher education programmes is key to doing that. The CAO points provide a rough, but important, indication of how the status of teaching is perceived among Leaving Certificate students. Interesting to see how your worries have come to light. I’m not sure I agree that deregulating the route into teaching is a bad thing in Ireland, at least. 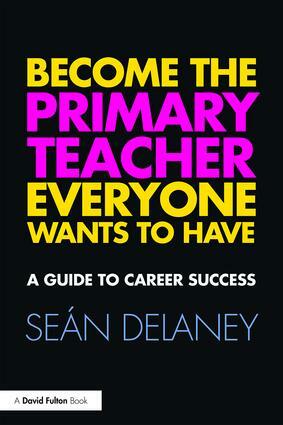 If the only route into teaching was through the Leaving Cert, this does not give good diversity to the profession.